Like many other people I don’t expect much from the current UN COP19 Climate Talks in Warsaw, mainly because of all the disappointments of previous COPs, the big focus on COP20 in Lima and COP21 in Paris and a host country that is hungry for coal. Like many other people, I am also putting more faith into engaged citizens, forward-thinking mayors, innovative eco-preneurs and loud climate activists than in the annual UN climate conferences. But from time to time, there are moments when I believe that the courage of engaged individuals at these conferences must persuade other participants and political decision-makers that urgent and ambitious action is necessary on a global scale. 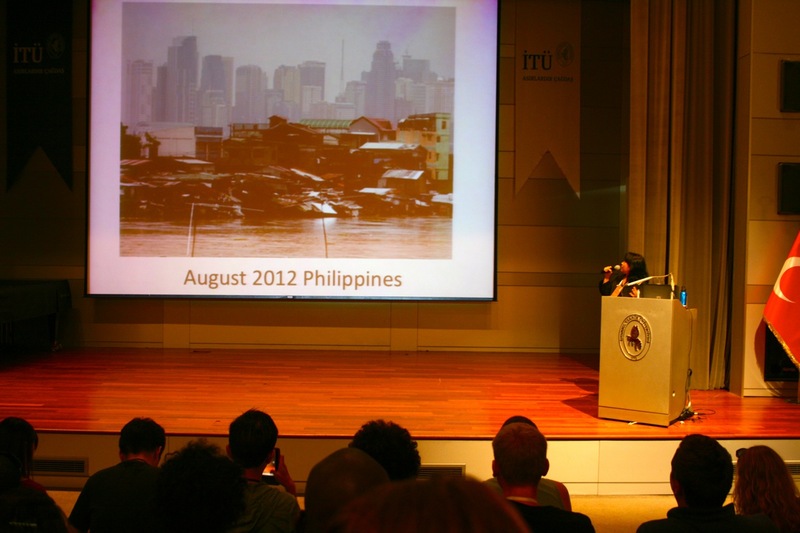 One of these moments was when Philippines chief negotiator Yeb Sano opened COP19 with his dramatic, personal and emotional thoughts about the devastation and deaths that Typhoon Haiyan caused in his country, also announcing a hunger strike in solidarity for the victims. This reminded me of the stories of two young women from the Philippines that I met in June at Global Power Shift in Istanbul. It reminded me of their stories of floodings where they had the usual rainfall of 30 days within 6 hours. And of their stories of typhoon Ondoy in 2009, monsoon Habagat in 2012 and typhon pablo in 2013, all of these causing massive devastation and food shortages especially in rural areas. They share these stories with the people from India where 70,000 people were missing after massive floodings this June, with the people from the Maledives who are facing much more severe Monsoon seasons and with so many other people affected by the increased likelihood of more frequent and more severe extreme weather events due to climate change. And like Yeb Sano they demanded nothing more but climate justice because “these punished people didn’t cause climate change”. It is our responsibility, especially as young people in developed countries, to “stop this madness”, as Yeb Sano put it. While he called Typhonn Haiyan a “sobering reminder to the international community that we cannot afford to procrastinate on climate action”, I don’t know how many more of these reminders we need to act. With a 97% scientific consensus on man-made climate change and more frequent stories of rising sea levels, melting glaciers, massive floodings, severe storms, record heat waves, long droughts and so many disasters from around the world, we should put those who still need more of these “reminders” aside and demand action.